Around the world, one in nine people do not have clean and safe water, and one in three still have no toilet. 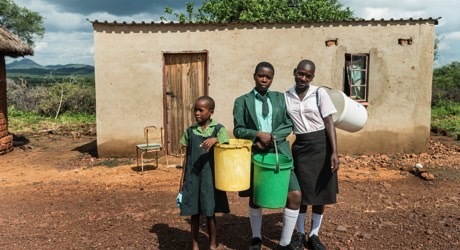 CARE’s Water, Sanitation and Hygiene Project (WASH) is working in the drought prone region of Chivi South, Zimbabwe, where communities are struggling to access clean water. On top of that, lack of toilets and hand-washing facilities are directly impacting the health of communities in the area. Poor sanitation means an increased risk of water-borne diseases, with outbreaks of illness particularly common among young children. When water is scarce, women and girls bear the heavy burden of collecting water for their families. This impacts on their ability to earn an income, and girls often miss school or drop out when schools don’t have adequate toilet facilities. Between 39-56% of the people in Masvingo Province where Chivi is situated don’t have access to toilets. In 80% of households, women are responsible for collecting water and are forced to walk for long distances every day in the heat just to collect water. 50% of the Chivi District rural population don't have access to adequate sanitation and a third of the Chivi District community members have no access to toilets. CARE will lead community members through the construction of boreholes, safe toilets, and the creation of health clubs and water committees to provide clean water and improve sanitation to 80,000 people living in Chivi south. 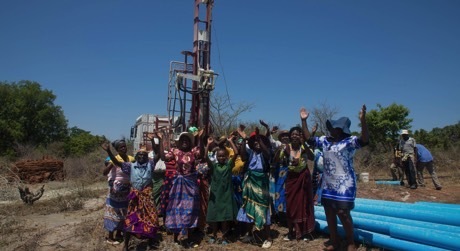 Build and repair boreholes, and help the community to maintain them. Build girl-friendly toilets at schools. Educate children about improving their overall hygiene and health. Enable every household to have a toilet. Support women to gain new skills and leadership opportunities. 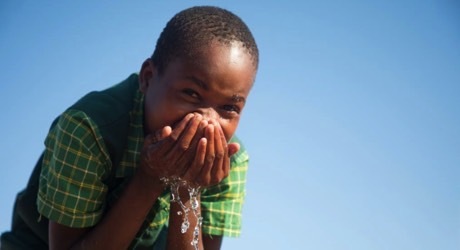 Repairing, rehabilitating or building new boreholes in schools and communities to provide clean water to nearly 80,000 people over four years. Training water point committees in the operations, maintenance and monitoring of water supplies. Building and maintaining toilets and hand-washing facilities at 39 schools. Supporting school health clubs to promote hygiene messages. Supporting communities to start using toilets. Training and equipping toilet builders and village pump repairers. The project is bringing together local communities with trained CARE staff to develop their skills and knowledge in managing and maintaining clean water sources. By engaging schools through the formation of health clubs, and by constructing girl-friendly and wheelchair accessible toilets, more children can practice safe hygiene, while at the same time encouraging gender and disability inclusive dialogues. CARE has led community members through the construction and maintenance of boreholes, safe toilets, and the creation of water committees that monitor and evaluate their water sources. By involving locals at all stages of the project, CARE is educating community members about the importance of WASH and promoting a safe and sustainable future for generations to come. These businesses are members of the Footprints Network and give you the option of making a microdonation when you purchase from them. CARE is an international humanitarian aid organisation fighting global poverty, with a special focus on working with women and girls to bring lasting change to their communities. As a non-religious and non-political organisation, CARE works with communities to help overcome poverty by supporting development and providing emergency relief where it is needed most. Last year, CARE assisted 122 million people across 84 countries through 1,015 poverty-fighting projects.